Anyone who knows me well, knows that I have a deep affection for anything blue and white. China, teacups, soup tureens, ginger jars are always what I look for whenever I am vintage shopping. Diamonds and sapphires are my favorite gemstones. I’d even own a blue car if I could! 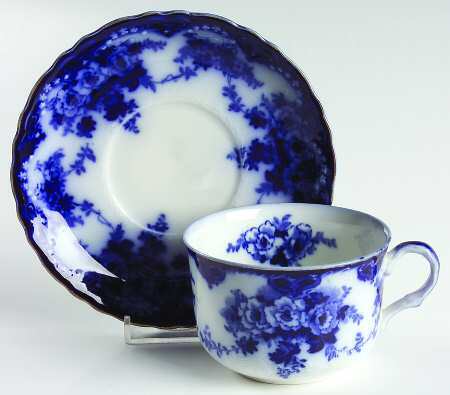 It wasn’t until I was in college and had to do a history report that I really fell hard for blue and white china. 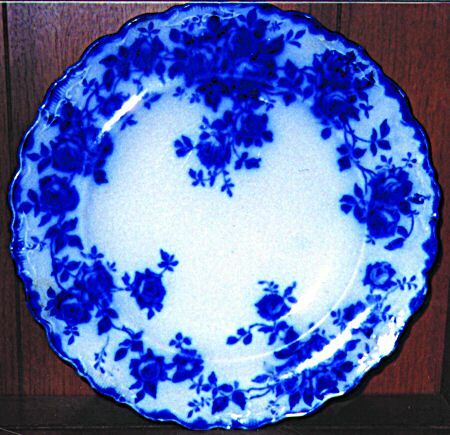 I was in an antique shop that I passed by every time I made the trip from Hamilton to Welland and as I was looking around I spotted a collection of Flow Blue china dishes. I stopped in my tracks and took a closer look at all the lovely pieces…and immediately fell in love! 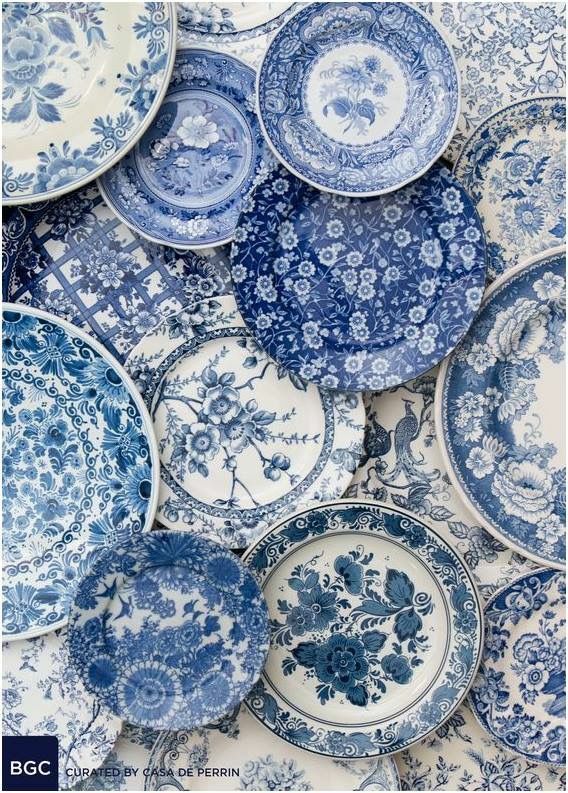 With blue being my favorite color, I have to say, it didn’t take much to convince me that THIS is what I should write my report on…and I have been admiring and collecting pieces of blue and white china ever since! A great source for flow blue is replacements.com as these pieces and more can be found and purchased. Blue and white is a classic color combination. We see it in fashion, in nature, in exteriors and interiors and it always, ALWAYS works. You can go ultra traditional or clean and modern..it works. Geometric, floral, stripes or toile…it works. 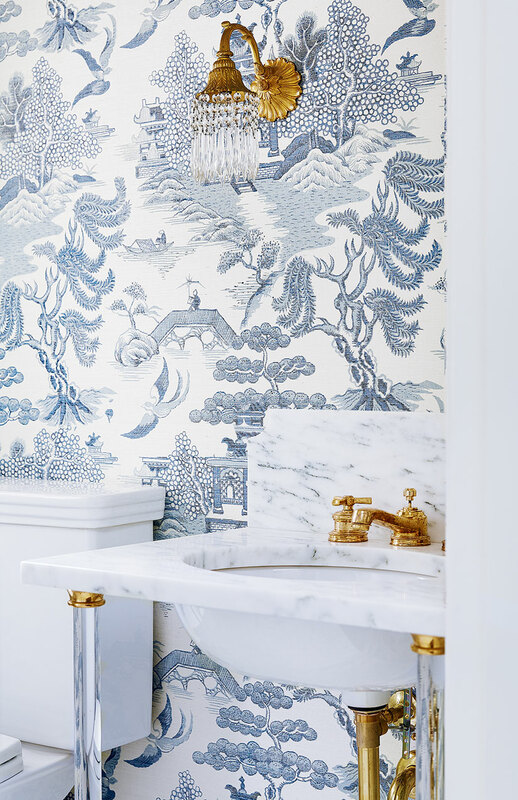 Denim, silk, cotton, porcelain… hand painted, hand dyed, from London, England to Rhode Island to Marrakech, Morocco…it’s everywhere…no matter what the look, blue and white are a match made in heaven! 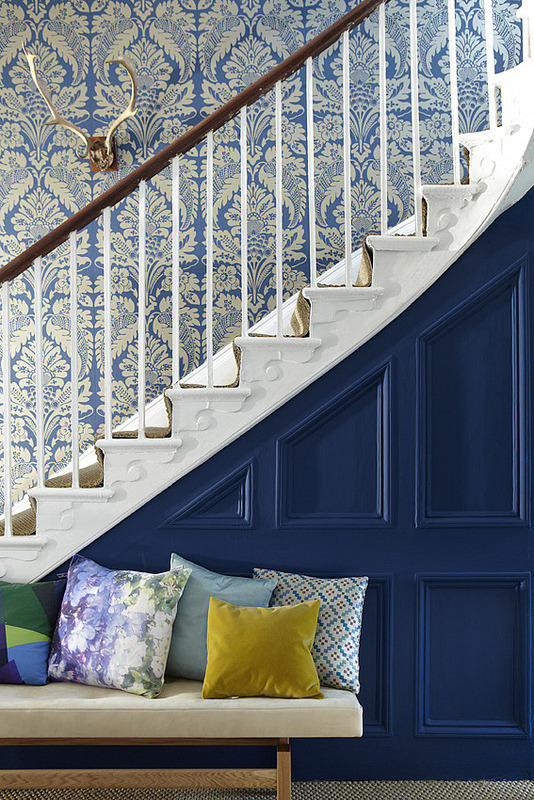 Blue and white inspiration abounds and can be found at many price points. 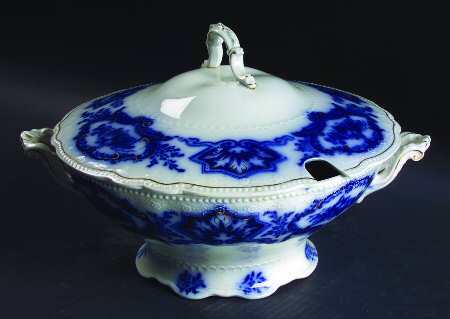 My favorite go-to for blue and white porcelain pieces is the Bombay Company. I have two of their ginger jars in my dining room and they are perfect! Pier 1 has some great pieces too; lovely chairs, vases, pillows and many other decorative items you can choose from to decorate your home. 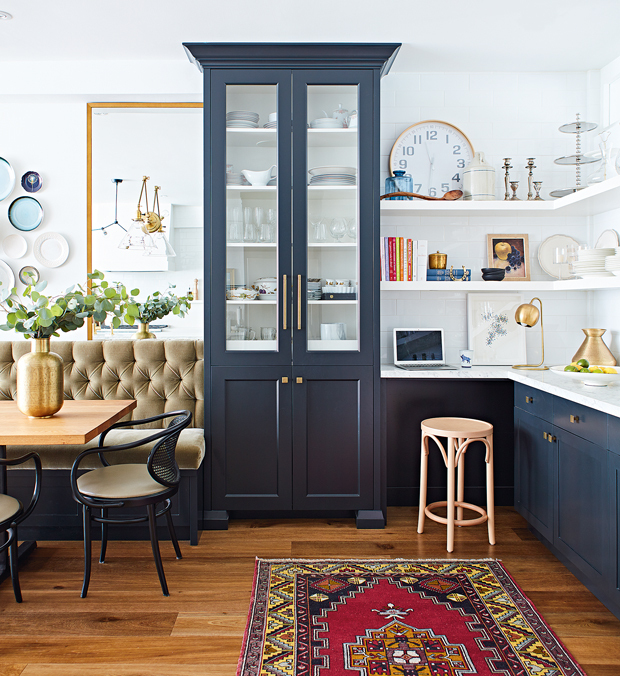 As indigo blue is an on-trend color, you can now find more of it in cabinetry, drapery fabrics, and tile patterns with navy sofas being all the rage. If you like the higher end items, Williams Sonoma Home and 1st Dibs have amazing porcelain pieces that are drool worthy for the admiring fan. If you have been following along for a while, you know that I have A LOT of blue and white in my house! My foyer, living & dining room draperies and reupholstered chair are projects I have shared with you in the past. My Christmas decorations are blue and white, and I have a few porcelain pieces scattered around—and I’d love to collect more! 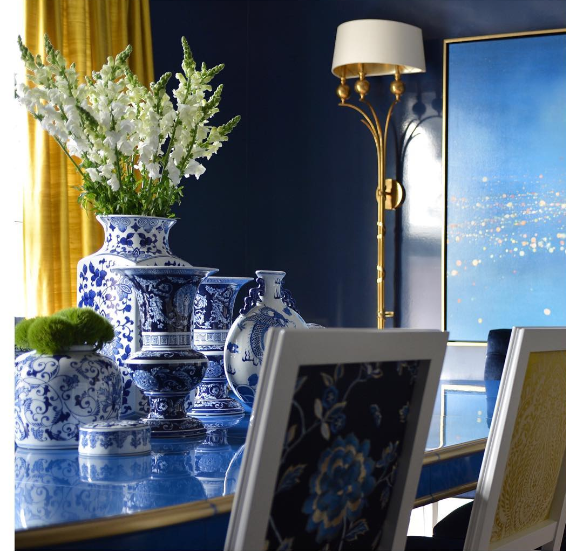 I’m even considering painting my living room blue…you can join in on the debate here! 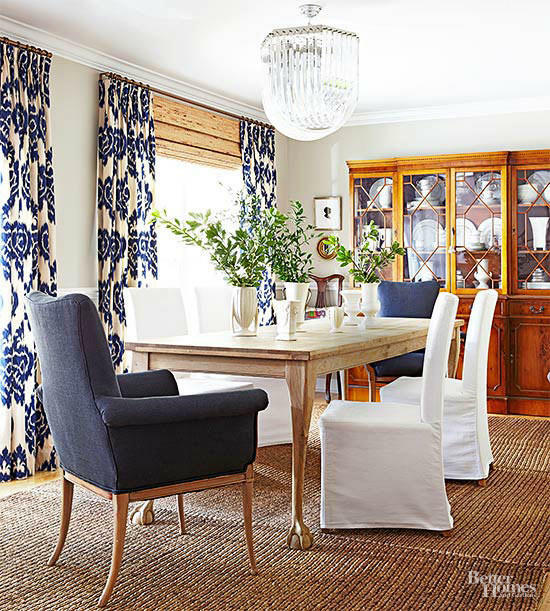 Caroline Rhoeme is an author and decorator known for mixing and matching Blue and White—especially with table settings. She has written more than one book on the subject and if your taste leans more toward the traditional, you should definitely look her up! But as for interiors, this classic combo peppers Pinterest and Instagram with lots of ideas for your space. I rounded up a few of my favorites and maybe you can see why my love affair is still going strong! The bold blue color-block stripe of this Massoud chair is so distinctive and crisp! Paired iwth the garden stool and rug it’s amazing! This Guest Bedroom is part of a cottage design by Jessica Waks. 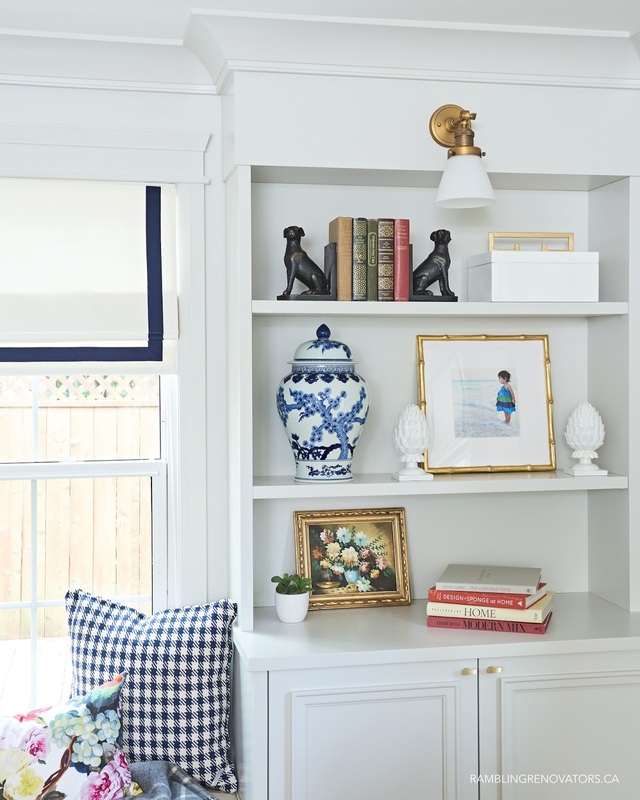 Take a look at the whole home tour which was featured in Style at Home a couple summers ago–lots of blue and white throughout the entire home! 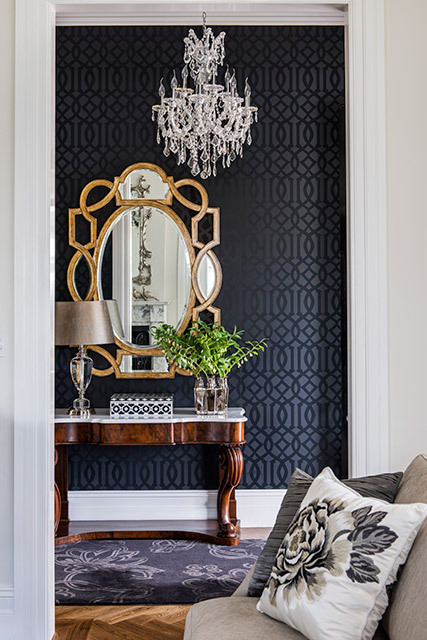 The graphic tone-on-tone wallpaper mixed with the floral rug and gold leaf mirror make this entryway elegant and welcoming. For a more clean, preppy look this living room has more subtle touches of blue, but all in the right places! This picture is but a glimpse…click the link for the room tour. 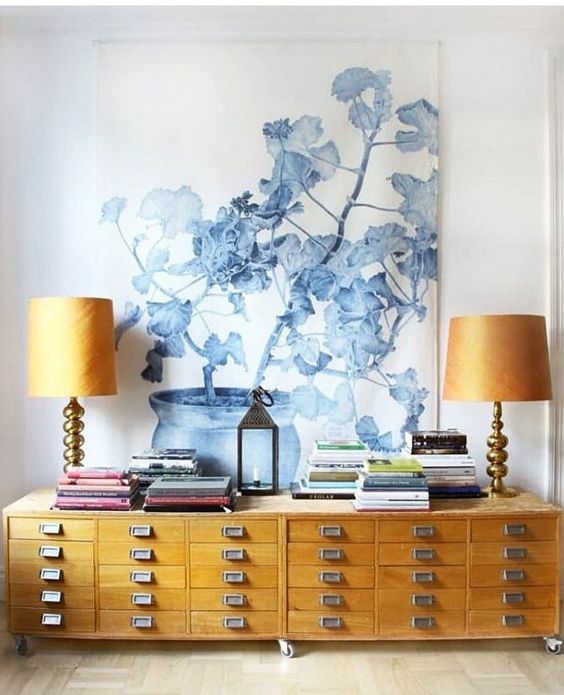 You can also check out her toile office wallpaper and recently completed Craft room for more blue and white amazing-ness. I swooned when I spotted this wallpapered foyer and did my best to replicate it in my own space where I used a stencil instead! 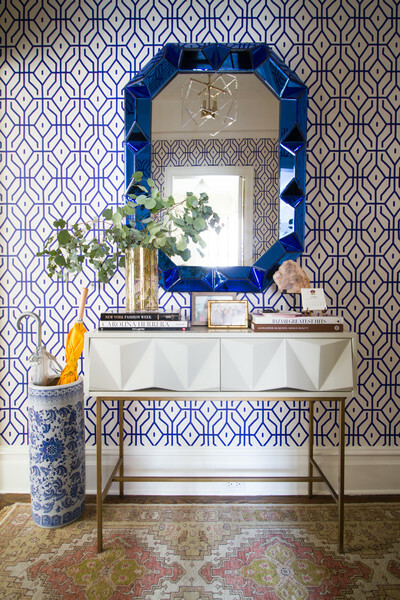 My favorite thing about this Geometrc styled hall is the Lucite light fixture reflected in the mirror–perfection! What’s not to love about this dining room? The patterned drapery is modernized with an ikat damask and the bamboo blinds and natural fiber rug makes the space far less formal than the Chippendale china cabinet would suggest. The mix of blue captain’s chairs with slip-covered side chairs keeps things casual and adds just the right amount of color for the room. And the light fixture–totally unexpected but looks fabulous! The paint color of this Master Bedroom is just magnificent! I love the touches of gold in the lamp and chandelier (I want one just like it!) The room is so fresh and bright, energetic and calming at the same time. Take a look the rest of Lindsay Mens-Craig’s home –she works with Sarah Richardson– so you know it’s incredible! Meredith Heron is one of my favorite designers and she posted this picture of her recent work on her Instagram page–instant love! Above: The intricate patterned floor tile ….swoon…I honestly can not think of words to describe how much I love it! 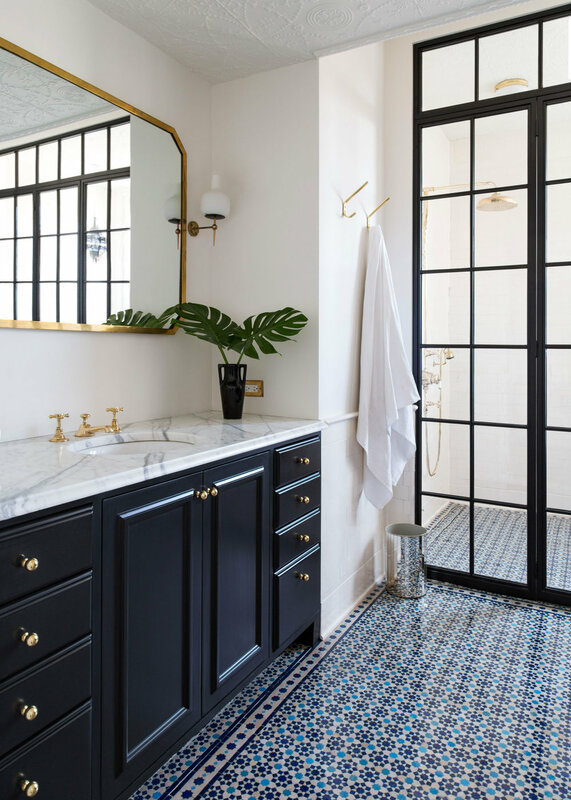 The brass hardware and black metal frame of the shower enclosure are bonus features in this Ensuite Bathroom. Right: Same color palette, totally different feel for this Powder Room! The delicate crystal sconce is lovely and the Lucite legs on the marble vanity…it’s European Glam all the way! What a dreamy kitchen! Blue cabinetry is the feature but the touches of olive in the banquette and the creative way they designed the whole space is so inspiring! The room has traditional features but it is most certainly NOT a traditional kitchen space. To see more you can watch the video here. Now my fellow-blue-and-white-lovers, I hope you have had your fill of inspiration for one day! There are so many ways to incorporate these classic colors into your home and so many styles to choose from–French, Nautical, Global, Bohemian, Traditional, Mid-Century, Scandinavian…I could go on and on! 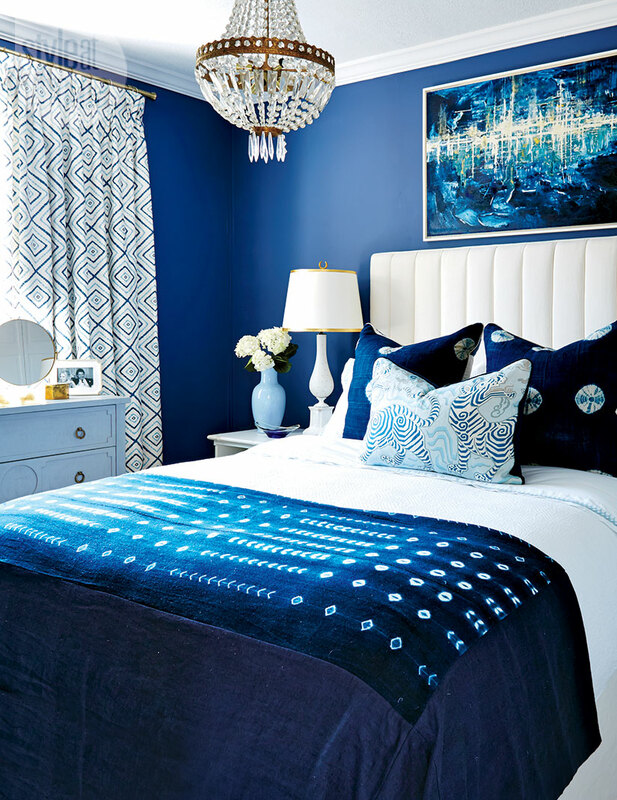 My love affair with Blue and White isn’t dying out anytime soon and I know I am not the only die-hard fan out there. If you love what you see, let me know! I always love to hear your feedback and comments!